Tremble before your central planning overlords! 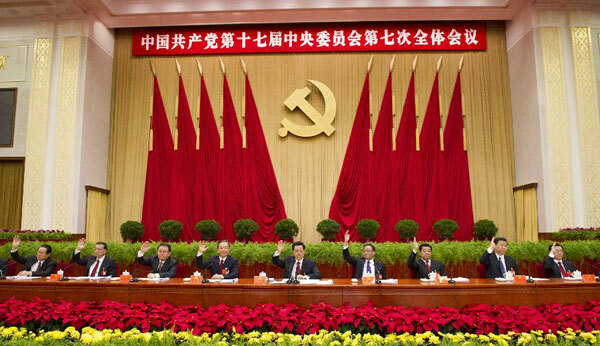 Maybe you didn’t know that the Chinese Communist Party is convening the 5th plenary session of its 18th Central Committee this week. Perhaps you didn’t know that they’ll be deliberating on an economic development blueprint that has been prepared to steer the country’s centrally planned economy for the next five years. And it’s possible you didn’t know that this is the 13th such five year plan in the history of the Chinese Communist Party. Well, if you didn’t know about any of this then you’re in luck! Chinese Communist Party mouthpiece Xinhua News has crafted a truly bizarre little cartoon music video to “explain” the whole phenomenon to you as if you were a five year old! That’s right, as the Chinese propaganda video’s catchy, eye-popping, utterly vapid and content-less song advises us, “If you wanna know what China’s gonna do, you best pay attention to the 十三五 (shisanwu).” Naturally the video glosses over what the shisanwu even is (for the record it literally means “13/5” and is a reference to the 13th 5-year-plan), let alone how to pay attention to it. But at least it gets your toes tapping and makes you all warm and fuzzy for command and control economics administered at the barrel of a gun by a dictatorial communist government, hey? Yay authoritarianism! For those who prefer a little more depth (and a lot more skepticism) of their government-run economic central planning schemes, here’s a run down of what you need to know to impress your friends around the water cooler tomorrow morning. The Central Committee is (at least officially) the Chinese Communist Party’s highest authority when the National Congress isn’t in session. Its 205 members (and 171 alternates) are “elected” to five year terms by the National Congress and the Committee convenes seven plenary sessions in each term. The fifth plenum (the one being held this week) is devoted to reviewing, discussing and unveiling the rough draft of the country’s five year economic development plan. China has been drafting five year plans since 1953, and, being born in the era before the Sino-Soviet split, the process was consciously modeled on the Soviet economic planning process. There is a central five year plan, drafted by the National Development and Reform Commission, which lays out specific economic goals (like GDP growth targets) and social development priorities in areas like health care and education. Local governments likewise devise their own five year plans to work out the specifics of how they will help implement the central five year plan. 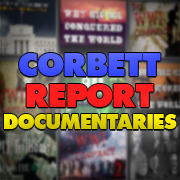 The plan is drafted in advance of the plenum, reviewed and discussed by the Central Committee, then revealed to the public in the form of dense, jargon-laden, generally impenetrable documents. It is not formally adopted, however, until the next meeting of the National Congress in March. What do we know about this five year plan? In short: not a lot. 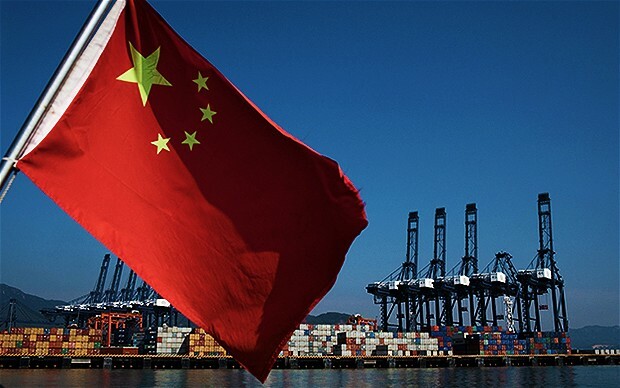 We know what China is concerned about, and what is likely to be addressed in the plan: how to maintain GDP growth in the face of a global economic slowdown, for starters. Also, how to maintain its GDP growth rate while the global economy slows down. And did I mention GDP growth maintenance in a worldwide economic slowdown? Yes, there may be other aspects to the five year plan but this is the one that is likely to receive all the emphasis, and why not? If the complete collapse of the Soviet system taught us anything, it’s that workers in a centrally planned economy only care what the bottom line expectation is so they can figure out how to cheat their way there. 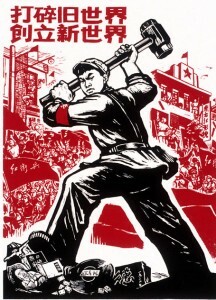 In China’s “red capitalism” system the only difference is that the pressure is more on the lower level party leadership to deliver the properly fudged numbers than on state workers to pretend to produce more. As for how this plan will specifically crack the nut on growing China’s economy over the next five years, officials are maintaining tight lips. There are largely meaningless articles in state propaganda outlets like Xinhua and China Daily that point out that China will have to maintain at least a 6.5% GDP growth rate to meet Beijing’s economic goals for 2020, but official sources are largely devoid of details so far. So what can we expect in the plan? OK, OK, OK. This is “The International Forecaster” column, isn’t it? So let’s forecast a little. 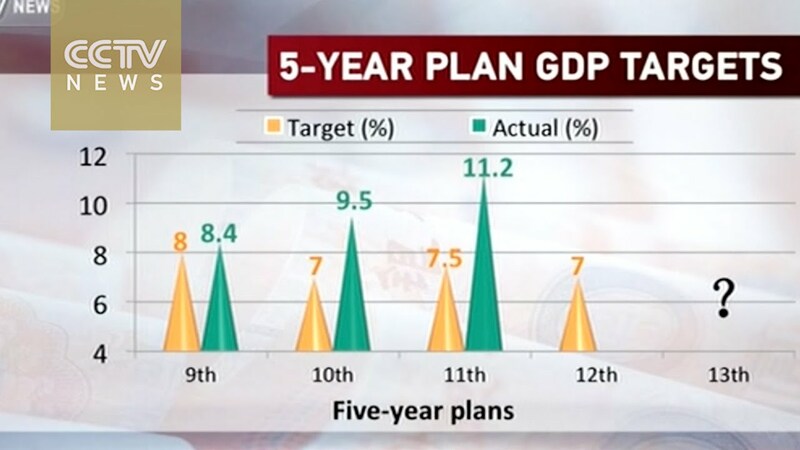 Firstly, the plan is very likely to reduce the GDP growth target to the more realistic 6.5% level, as some outlets are reporting. The global slowdown is not in question. Nor is the Chinese slowdown. 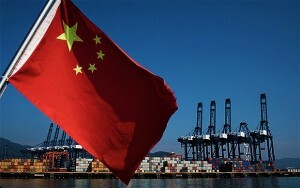 Nor China’s effort to switch from an export economy to a consumption economy. All of these things are taking a toll on the once red-hot Chinese dragon and no amount of number fudging is going to convince anyone that the country has managed to hit their 7% growth target smack dab on the nose once again (what a surprise! ), so some expectation reduction is inevitable. However, as others are pointing out, anything below 6.5% will mean that Beijing will fail to meet their 2020 goals, so that would be unacceptable. 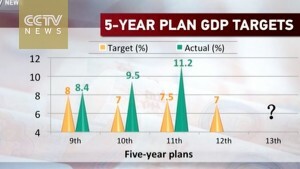 Thus, come hell or high water, China is going to aim at 6.5% growth per year over the next five years and by golly they’re going to get there…no matter how many numbers they have to make up! Secondly, the plan will call for greater competition with international bodies on a range of issues. From climate change to intellectual property to the international monetary system, the Chinese oligarchs have fallen over themselves in recent months to demonstrate that they’re more than willing to play game with the western oligarchs. 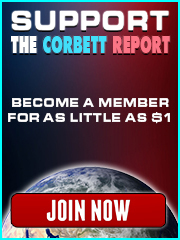 That trend will be on full display in the coming months, with new reports suggesting that the yuan is all but guaranteed to join the IMF’s Special Drawing Rights basket next year and Beijing seemingly on board with the CCCOP in France this December (which is once again threatening to create a global carbon tax). Look for the five year plan to offer more rhetoric about “cooperation on global challenges” and other mealy-mouthed globalist platitudes. Thirdly, President Xi’s push against corruption in the party, stage-managed and fake as it may be, will doubtless be reflected in the new plan. 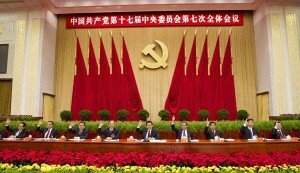 Cai Zhiqiang, a Party School of the CPC Central Committee professor told state-run Global Times that the coming plenum may actually announce punishments for some officials who have been found guilty in Xi’s corruption purge, which has so far punished 80 high-ranking party officials and hundreds of lower ranking members. 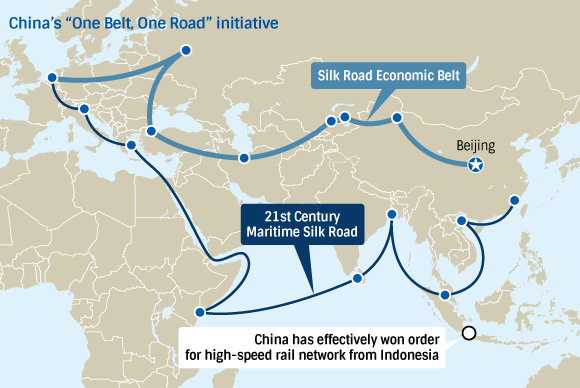 Fourthly, there will no doubt be stress on projects toward the creation and furthering the country’s “One Belt, One Road” economic policy for developing land and sea trading routes that will connect China to areas from Southeast Asia all the way through to Europe. Recent moves in further cementing this policy include Beijing’s successful bid to construct a 140 km high-speed rail network in Indonesia and CIC Capital’s recent acquisition of 65% of outstanding shares in Kumport Terminal, a leading Turkish container terminal near Istanbul, for $940 million. The new plan will doubtless call for the expansion and solidification of these trading corridors, which will bring it into friction with its neighbor and regional rival, Russia, whose own Eurasian Economic Union competes with Beijing for economic access to the same pivotal Central Asian region. 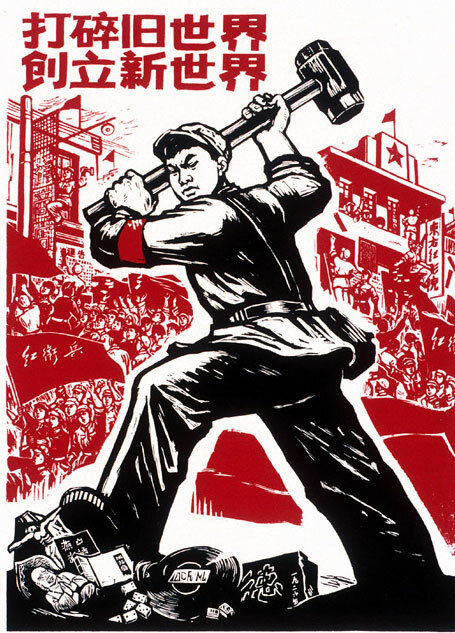 Of course, there are always curveballs and new initiatives that get thrown into these types of grand plans, so look for a flurry of eye-popping, toe-tapping Communist Party propaganda to unleash that on the public in the weeks following the plenum. But those who truly do wanna know what China is gonna do is advised to tune out the cartoons and stay tuned to these pages for continuing coverage of the shisanwu. James, have you thought of doing one of your podcasts in an upbeat jingle format, perhaps on the topic of “What the elites are gonna do”? Might get a million views, especially if you have a bouncy tune and catchy refrain. Wait ’til Fuxing Road sells us the Chinese social credit system! And Smart cities! Wonder if Meryl Streep, Matt Damon, Richard Branson, Bill Gates and Angelina Jolie have already signed on with them?